KAMPALA – The chairman of the General Court Martial Lt General Andrew Gutti has Monday, March 25, ordered for the transfer of the patron of the infamous Boda Boda 2010 Hajji Abdullah Kitatta from the Makindye Military Barracks where he has spent 13 months back to Luzira. This was after the prosecution’s request Captain Samuel Masereje who informed court that it is now safe to remand Kitatta to Kigo Prison given the fact that his case is now coming to an end and it no longer poses a threat to his life. 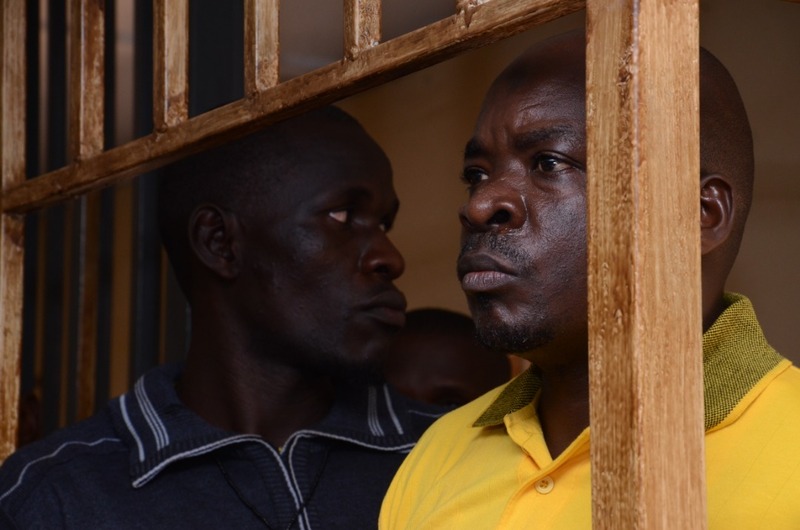 “Kitatta was first remanded at Luzira prison on February last year and prosecution asked that he be transferred to Military Barracks after the security telling us that there is the threat of his life. Since then that threat is no more,” Capt Masereje told court. However, his lawyer Shaban Sanywa objected to the state’s submission saying that it will be wrong for his client to be in a remand centre in which prosecution knows that security is not guaranteed. Mr. Kitatta and nine other people are facing charges of unlawful possession of firearms, ammunition and Military gears which prosecution says they are a monopoly of only defence forces. Mr. Sanywa had also told court before the state’s application to have Kitatta transferred back to Luzira prison that his 3 witnesses including Private Kenneth Okello the in charge of Old Kampala Police Armory, Sgt. Allan Matsiko -Kitatta’s second body -guard and the manager of Vine Tea Hotel from where Kitatta was arrested from, refused to come to court despite receiving summons. This has forced his lawyer Sanywa to close the defence testimony pre-maturely and court adjourning the case to the April 8, for last submissions before court sets a judgment date. Mr. Kitatta now joins his nine co-suspects at Luzira prison after the court’s chairman Lt. Gen Andrew Gutti concurred with the prosecution that his security is now guaranteed.